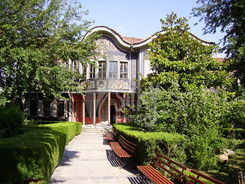 The eighth edition of �The night of museum and galleries in Plovdiv� will be held on Friday 21th September 2012. The program is divided in three parts �Museum and galleries�, �Culture and club� and city and urban environment. Over 50 galleries, art sites, clubs, bookstores, theatre halls, history and archeology monuments will transform the city into a huge scene. This year 23 private and regional museums will present special exhibitions. 18 projects of culture institutes, bookstores, informal art sites and clubs will participate in the project. The platform �City and urban environment� will present the culmination of the festival �Rituals of the common� with 10 international projects around the city.